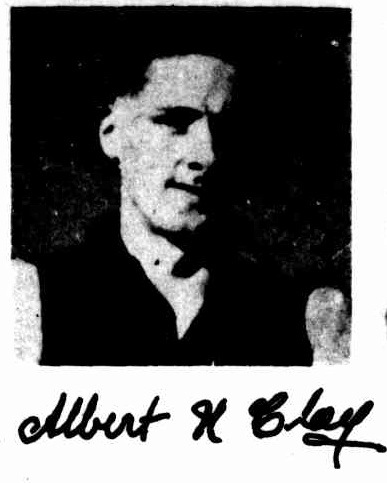 BERT CLAY, who has just completed 10- years for Fitzroy, is the type of reliable follower so highly valued by a club. He is close to 6ft. 4in. and weighs 14 ½ st., is the solid rather than the brilliant type, but is always on the job and never gives up. 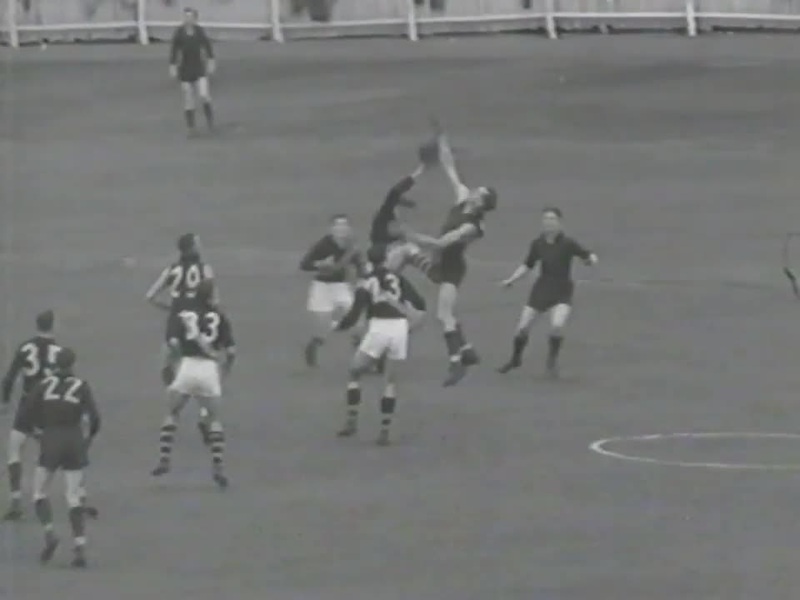 His great height gives him an advantage, either when in the ruck battles or when placed, and he is a safe rather than a spectacular mark. Since he came from Narrandera (N.S.W.) 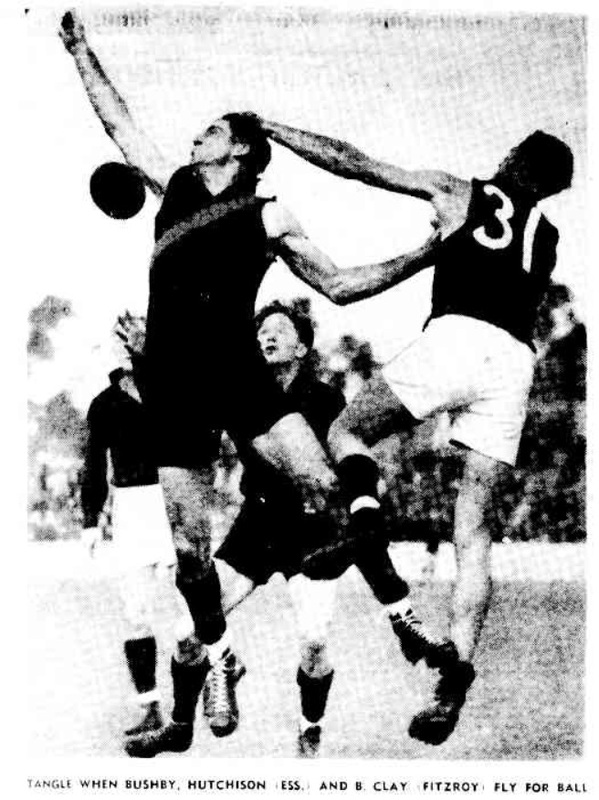 in 1940 he has been a great player for Fitzroy, and has also worn the Victorian jersey. 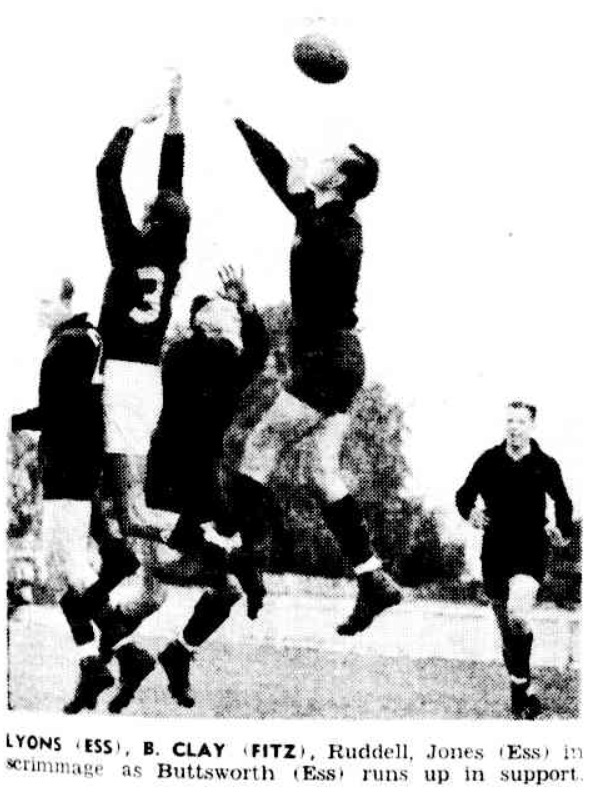 His record of games is 115, and, although not a good kick, he has scored 53 goals in that period. When Bert was joined by his twin brother, Ivan, supporters were in a quandary. They were so much alike that there used to be bets on the subject.